For millions of Fortnite fans, Friday Fortnite—a YouTuber- and streamer-focused tournament series hosted by shameless drama profiteer Keemstar—has become a weekly ritual. This week was supposed to be its swan song, but the party’s been called off because Epic decided to host an even bigger shindig just down the block. Keemstar’s series took off due to its focus on internet stars and action. Big names like Ninja and Nadeshot made appearances, and teams competed to get the most kills, rather than to be the last team standing. The weekly $20,000 prize pool was modest by esports standards, but it was still, you know, $20,000. The series became a pillar of Fortnite’s still-nascent competitive scene. It was far from perfect, but it was fun Friday viewing. With the advent of Epic’s $8 million juggernaut “Summer Skirmish” series, however, Keemstar and esports company UMG decided to sunset Friday Fortnite and create a Sunday series, so as to be clear of the oncoming Godzilla about to take up residence in their kiddie pool. Yesterday, however, there was still uncertainty as to whether or not Epic actually had anything planned. Then, the afternoon of the day before the proposed tournament, Epic finally announced that it was happening. Keemstar, who was originally planning to go on with his show regardless, decided to cancel. Speaking with Kotaku yesterday, Epic contended that it let Keemstar know about the possibility of Friday tournaments ahead of time, and that should’ve been enough. Keemstar and fans of Friday Fortnite, however, seem taken aback. Now, with Keemstar you never actually know, because he sprinkles drama seeds in the drama fields and harvests plump, juicy drama crops for a living. Friday Fortnite fans’ reactions, however, seem genuine. That last part is especially pertinent given that, just yesterday, Epic posted a lengthy postmortem of its first tournament in which the company acknowledged that things “did not go as planned.” The tournament was plagued by lag and overly cautious competitors. It was canceled after only four of ten scheduled matches. 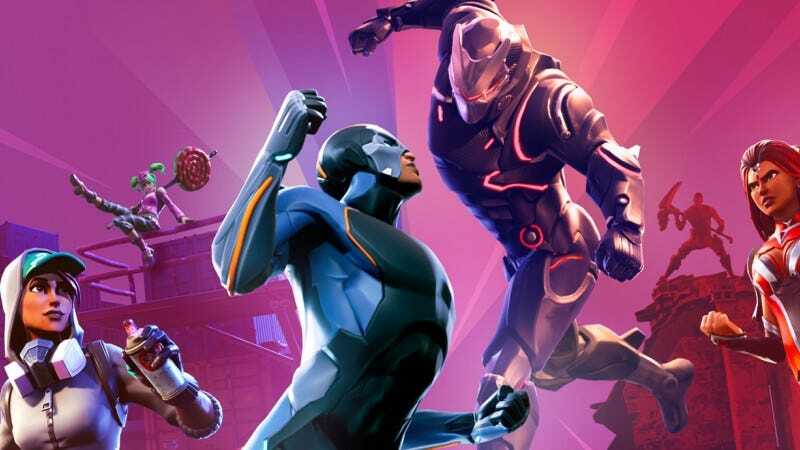 Epic said that it’s still experimenting with formats and ironing out kinks. On that front, perhaps having more people hosting their own events and experimenting might help everybody close in on an optimal format more quickly. But has Epic really destroyed anything here, or is Keemstar just stirring the pot? After all, he’s gonna host another tournament series on Sundays. Maybe it’s not in as ideal of a time slot, especially coming after two days of Epic-sponsored tournaments involving many of Friday Fortnite’s usual competitors, but it’ll still exist. That said, esports company UMG has announced that it won’t be involved anymore, and Epic confirmed in an email to Kotaku that it’s put a cap on how much prize money Keemstar’s tournaments can offer. Keemstar’s $20,000 cap, Epic added, is actually twice as high as the $10,000 cap the company is putting on other third parties. It all sends a pretty clear message that Epic wants to be the biggest show in town. And why shouldn’t it? Fortnite is Epic’s game. But if other entities want to host their own competitive events, it will likely be an uphill battle in this environment. You need only look as far as Overwatch’s OWL-dominated esports scene to see how this kind of approach can stifle and even squelch grassroots competitive scenes entirely. Right now, it’s still tough to say what exactly will happen. Summer Skirmish is something of a test drive for Epic, and the series will be over after eight weeks. How much will it improve during that timespan? And afterwards, will anyone try to fill the void it leaves behind? Or will Epic swiftly take care of that problem itself?